I’m often asked about what that means when we talk about using a “chi form”. The word “form” is often used in many different ways to convey the meaning a person is trying to get across. One dictionary says, that “form” means to mold by construction or discipline. In martial arts, a person uses a form to learn a series of punches or kicks in proper sequence. In most places, after the student learns eight of these specific forms, they obtain a black belt in that particular style. 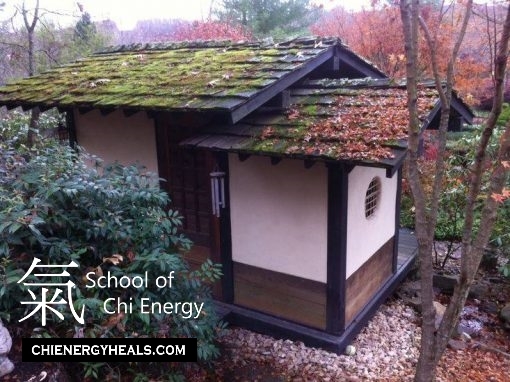 At the School of Chi Energy, students learn to use their own projected bio-energy or chi to create a “chi form”. Students learn how to utilize these chi forms for healing and many other uses. There are energy modalities that do teach a student how to move around their chi, but they do not teach this unique technique of actually forming the chi “into place”. Our students slowly over time, learn to cultivate & project their chi into a usable “chi form”. This is a “chi form” that a person can feel in a physical or tangible way. Students learn to use these chi forms to perform extreme abilities and quantum healing techniques. In Chi Energy Training, students use their “chi form” to control their inner body temperature, regulate their blood pressure & control their heart rate. Students learn to change those things in them self, as well as in other people. These are physical changes, which can be accurately measured with the use of a temperature measuring device (like a laser temp gun), or with using a blood pressure tester and a heart rate indicator. Once students understand these are actual chi techniques they can learn them self with a little practice, they start learning new chi abilities. Students not only learn these types of chi techniques in their first year of chi training, but also how to control their own body’s emotional hormonal responses. Students are shown how to project the right kind of “chi form” through specific areas on their body, so that the “chi form” dramatically changes the way their body releases hormones into its blood stream. Students learn with practice, how they can use this simple “chi form” to regulate the right emotional stability for them self or be able to help others in the same type way. We also teach students the numerous flawed ways that other energy systems use to try and teach this technique and why these methods are unreliable. The student’s first year of chi training prepares the student’s body & nervous system for all the extra amount of energy that comes from the practice of “form training”. Each year the student stays in “form training” the power of their chi increases significantly. Over a period of time, students see & feel a huge difference between learning a chi energy system that teaches only “moving chi” or a system like ours that teaches “form training” too. If you are into energy training and not making the gains you feel you should be making, maybe it’s time to check out another type of chi energy training like ours called, “Form Training”. Once a student can start physically feeling the difference between “moving chi” & that of “form chi”, they are well on their way to being able to reach the higher levels in energy work. As always, be mindful of your thoughts and learn to cultivate good feeling energy.